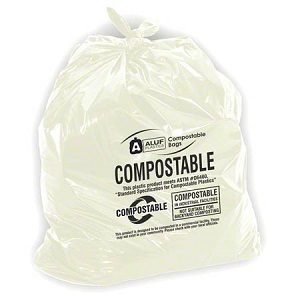 Save the environment with these 100% compostable and biodegradeable liners. Ideal for janitorial, food service, municipal, grocery and hospitality uses. Meets ASTM #D6400 Standard Specification for Biodegradeable and Compostable Plastics. Designed to be composted in a commercial or industrial facility. They are NOT suitable for backyard composting.